Dubai: A massive 700-hectare spread right in the “heart of New Dubai” could soon be opened up for development. That means opportunities for private developers to add to their land bank as well as for the master-developer to further build on its portfolio of luxury and affordable-luxury residential options. These 700 hectares represent the still undeveloped areas forming the 1,119-hectare Jumeirah Golf Estates. As of now, all of the activity centred around the 375 hectares making up Phase 1, which is home to two high-profile golf courses and 16 mini residential communities. Retail elements are also getting added. But with the additional land coming into play, JGE is looking at stepping up into a whole new game. “Another 700 hectares and you are looking at a city within a city,” said Alya Mahdy, Executive Director — Commercial at JGE. “If you are a private developer and understands where Dubai’s growth is going, they will be looking at JGE. We are getting a metro line that stops right within and we are going to be 15 minutes from the Expo 2020 location. And 10 minutes from where I am, there is the Dubai World Central and a (future) Emirates airline hub. When the additional land is brought into project mode, it will also mean property buyers have a much wider canvas of investment options to choose from. Right from Downtown and Business Bay and heading into the 11 “districts” making up MBR (Mohammad Bin Rashid) City and then JGE. Interspersed in between are smaller planned developments. Currently, 700 families call on a JGE address as a home. More than 900 units have been delivered. The 300-odd hectares currently in development will host 1,835 homes, of which 1,191 are being developed by the master-developer. “We will have two more sub-developers coming on stream with their first launches, and this is for phase A,” said Mahdy. “As for us, we still have more buildings — probably another five — being lined up for the Alandalus cluster. We had a launch in May and 60 per cent has sold since then. “What JGE has done well is bring different types of products — luxury and affordable-luxury — into the same location. At Alandalus, the average price is Dh850 per square foot. Future launches will be closer to the golf course and priced accordingly. 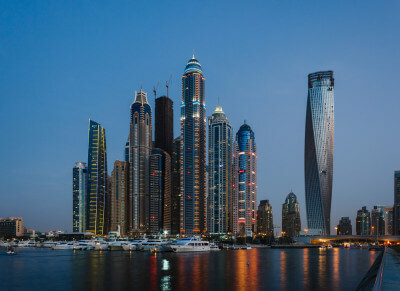 “But it’s still affordable luxury — if you are looking at similar products in Dubai, there are pitching above Dh1,300 a square foot. “At the same time, we have always been known as a luxury developer, the Redwood Avenue phase 1 was delivered last year and the villas start from Dh9 million and go all the way up to Dh25 million. Jumeirah Golf Estates has its pristine greens and clubhouses as well as a selection of residential communities. But in keeping with its transition towards being a full-fledged mixed-use development, other elements are being added. A private developer is creating a retail base within JGE, while the master-developer is lining up its own offering. “For communities of this scale, you need to provide the amenities to ensure success,” said Alya Mahdy. “Our corporate strategy is in tune with market demands. If that dictates us to do diversification, JGE will look at that.